I have a fairly stony heart but even so there are times when I simply have to laugh, no matter how inappropriate the circumstances. 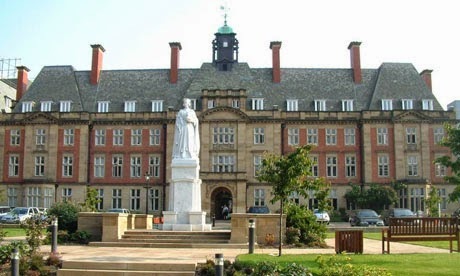 A prime example occurred at visiting time at the RVI 25 years ago. I was trying to cheer up my late mother, who had just lost her second leg to Type 2 diabetes. Next to her, in the traditional bed next to the door, lay another old lady who patently wasn’t destined to witness another sunrise. As for the rest, I am ashamed to say that their lack of realism was so ridiculous that my mum and I both got the giggles. We had to draw the curtains around her bed to avoid giving offence. 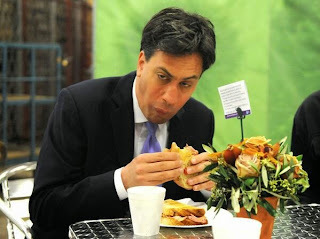 I am reminded of this melancholy saga – and, yes, there was another lady in the bed next to the door on the following day – by the succession of senior Labour figures turning out to confirm that Mr Miliband really does have what it takes to be Prime Minister. Some, perhaps, are speaking the truth by not being too specific about which Mr Miliband they are talking about. We are fortunate in having the dignified part of our nation’s leadership in the practised and capable hands of Her Majesty The Queen. But surely few of us can seriously imagine that it would be a good idea to put our key economic levers, never mind the nuclear codes, in the hands of Mr Bean. 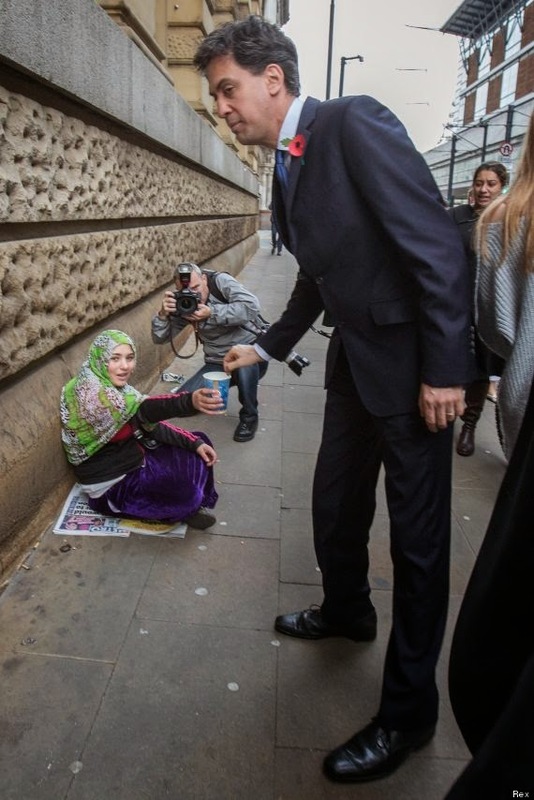 Yes, of course we shouldn’t devalue a person because he looks a bit weird, and speaks strangely, and can’t manage normal things like eating a bacon sandwich or giving some change to a beggar without inviting ridicule. But I’ve been waiting for four years to find out what on Earth convinced Ed Miliband that he had a mission to be Prime Minister so overwhelmingly strong that it was worth knifing his own brother to achieve it, and I am still completely in the dark. An energy price freeze, was that it? Possibly a mansion tax? Pushing the top rate of income tax back up to 50%? Committing never to take Britain out of the European Union, regardless of the future path it may take? 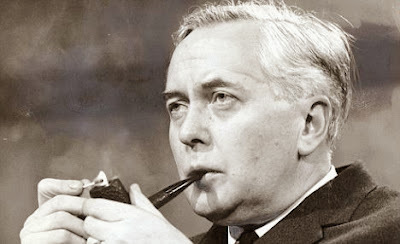 Harold Wilson famously asserted that: “The Labour party is a moral crusade, or is it nothing.” Well, if those are the only alternatives, I am really struggling to see the moral crusade right now. I have waited in vain to hear a compelling vision of how Mr Miliband would change this country for the better, and it seems increasingly reasonable to conclude that he hasn’t got one. In which case, surely the Labour Party should bring an end to the admittedly entertaining farce of his leadership and install someone who can project one with greater credibility. I don’t write this out of self-interest. I’m a natural Conservative, though no great fan of the party’s present leadership and direction. I certainly have no desire to see a majority Labour government next year. 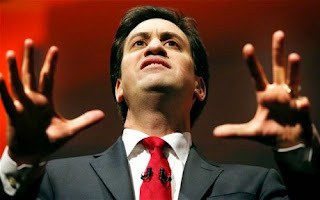 And there is no better chance of avoiding that outcome than by leaving the present Mr Miliband in place. 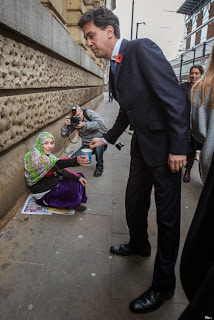 But British politics is already discredited and disillusionment can only grow if we are denied a credible choice between parties with grown-up leaders who can make a convincing fist of presenting themselves as potential Prime Ministers. 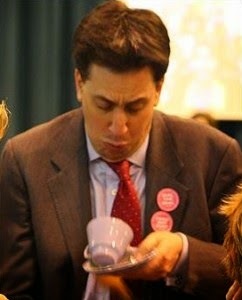 On current form, Ed Miliband would struggle to win a mock election in a school debating society. I know that writing this will win me no new friends in the North East, which started voting Labour a century ago because it felt deprived and neglected. And never seems to question why it still feels exactly the same in 2014 despite its staunch and commendable loyalty. But please be aware that those of us outside the ward are struggling to suppress our mirth over your man in the bed next to the door.